At the beginning of Bridget Jones: the Edge of Reason, Bridget has been going out with Mark Darcy for four weeks, and she is getting used to being part of a couple. Enters Rebecca, a beautiful, successful and rich colleague of Mark who is determined to steal Bridget’s boyfriend. Seeking advice from her friends and her self-help books, Bridget becomes convinced that Mark has a lot more in common with Rebecca than with her, and she breaks it off with him. 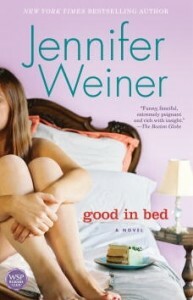 To make matters worse, her job is going nowhere thanks to her crazy, erratic boss, a renovation project in her apartment has gone horribly wrong, and her father has become an alcoholic. 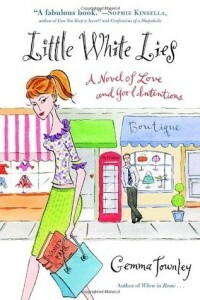 While I enjoyed parts of the book, I believe that the Bridget Jones series has lost some of its appeal. Is it because I am older than the first time I read it? After all, I am married with one kid, while I was single when I first laid my hands on the books. Or is it because the series hasn’t aged well? And am I the only one who thinks that it was a little creepy that Mark was always lurking around her apartment (when she was babysitting Magda’s kids, or when she was looking for Tom’s cellphone, for example)? Luckily, there are some great comic scenes which redeem the book, such as Bridget’s interview with Colin Firth, or how she passes the time while in a Thailand prison. 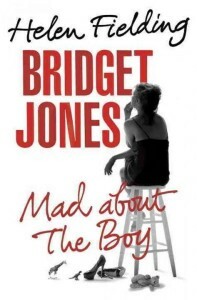 I wonder if the last book in the series, Bridget Jones: Mad About the Boy, will be better though… I guess there is only one way to find out: I will need to read it. 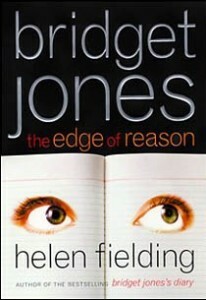 Just as Bridget Jones’s Diary was a modern retelling of Pride and Prejudice, Bridget Jones: the Edge of Reason has similarities with Persuasion by Jane Austen. Helen Fielding co-wrote the screenplays for the 2 Bridget Jones movies. Bridget Jones Diary‘s sales were modest when the book was released in the UK but went through the roof in the US.